In 2014 Monotype US commissioned me to review and redesign the Noto Sans & Serif Armenian Regular and Bold . 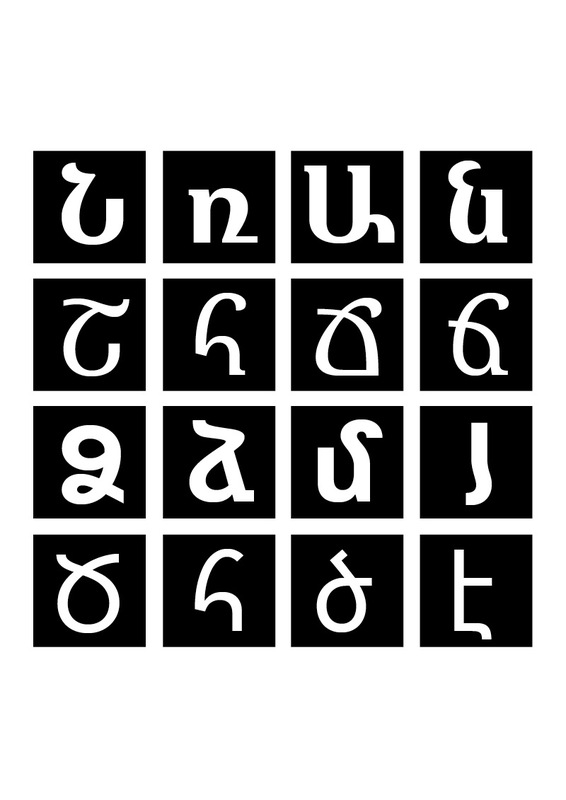 Noto supports 800 languages and 100 scripts in up to eight different weights. The aim of the project was to create a unified visual system. Before I could get into design I had to review the existing version, analyse and evaluate its design, and consider previous critical remarks and comments. I felt that the Noto Armenian font should be in between tradition and modernity, while being authentic, natural looking, but also a contemporary typeface. Noto Armenian is a typeface that stands on its own design merit and gives to readers a contemporary, but authentic texture in which they can recognise their own identity. A typeface that can be used proudly, because it is not a reminiscence of an adaptation of any existing Latin typeface, but an independent font that works well alongside Latin. Noto Serif Armenian Regular and Bold (v.2.x) are released by Google.